Love w&h? Then subscribe to the print or digital edition today and you won’t ever have to miss an issue. 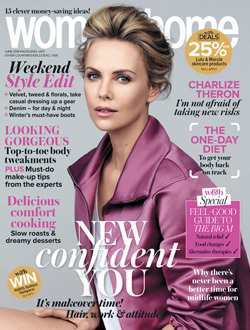 Don’t let postal strikes stop you from getting your monthly dose of woman&home inspiration – w&h is now available at the click of a button. 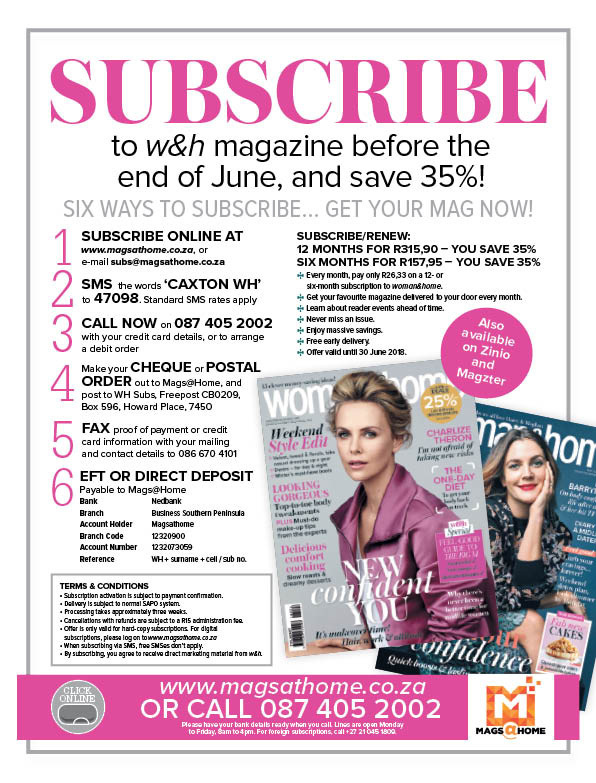 Sign up for a digital subscription today with Zinio or Magzter and enjoy the simple and convenient pleasure of having your w&h mag delivered right to your PC, tablet or smartphone. Want to know more about digital subscriptions? Zinio vs Magzter – which one is best for you? 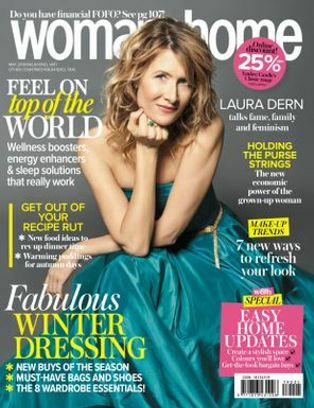 Subscribe to w&h magazine and never miss an issue of your favourite glossy or buy a subscription for a friend – it makes a fabulous gift. This month, subscribe or renew your subscription and get 35% off!